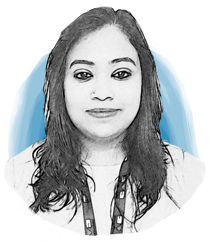 Aakanksha has an MBA in marketing and over 7 years of professional experience in the healthcare domain. She has over 3 years of experience at B. Braun Melsungen AG and Covidien PLC. Presently, she leads the Medical Devices team at Grand View Research. Skills acquired from the fields of medical devices business development and consulting have enabled her to make heuristic product demand forecasts, understand customer preferences and make informed analyses. She has successfully undertaken over 200 market research and due diligence studies, which include detailed analysis of the global microscopes domain.